Do you need to find the perfect gift for a friend, family member or co-worker? Well, Champs Sports just made your decision a lot easier. 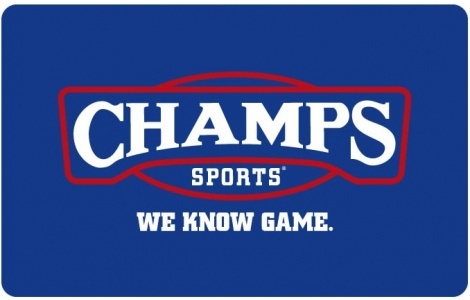 A Champs Sports Gift Card guarantees that they'll get exactly what they want! Use of this card constitutes acceptance of the following terms and conditions. This card entitles the holder to apply the balance on the card to the purchase of future goods at any Champs Sports store in Canada. This card will not be exchanged or redeemed for cash except as required by law. Not valid for catalogue or internet purchases. For card balance call 1-888-716-5807. This gift card is issued by Foot Locker Canada Co. For the Champs Sports store nearest you, visit us at Champssports.com.